Flood insurance provides protection for destruction and financial devastation caused by floods. Although it may not seem like much, even a few inches of water can cause serious damage, resulting in thousands of dollars in repair and restoration costs. Homeowners insurance does not cover floods. Purchasing a flood insurance policy through Sutherland-Scherff can protect you. If your home or business is in a low or moderate risk zone, your building may qualify for a low-cost preferred risk policy. While you aren't required to purchase flood insurance in low-to-moderate risk areas, a preferred risk policy will protect your home and its contents if you are effected by a small flood, or a larger flood that has extended into your low-risk area. 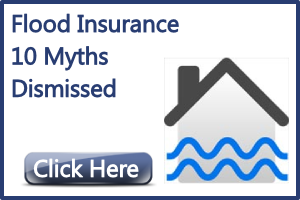 In truth, many flood insurance claims occur in low-to-moderate risk areas. Don't wait until it's too late. Contacting Sutherland-Scherff today will get you on the path to flood protection with an affordable and comprehensive insurance policy.